Latest additions to the new website are a selection of calculators. The Gear Ratio Calculator is a brand new programme I’ve put together that calculates exact mph in each gear in 100rpm increments, all the way up to 8000rpm. It includes an automatic tyre diameter calculator – input your tyre profile info and it takes care of the rest. More tech info and pics are being added daily. 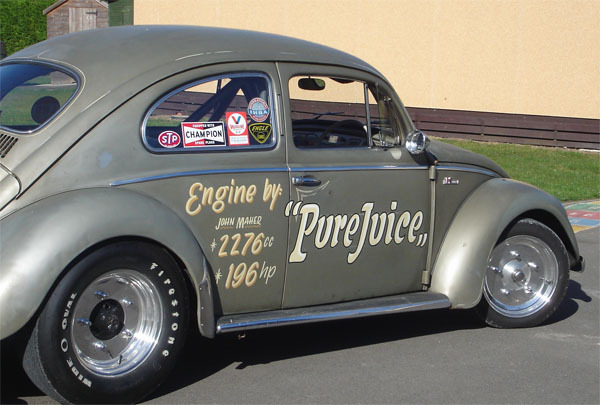 Here’s one from a few years ago… Nigel fleet’s ‘Purejuice, powered by a 196bhp JMR 2276cc Type 1.